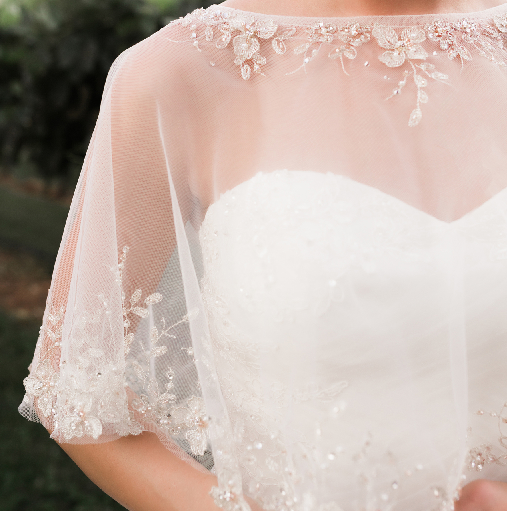 Wear one of our beautiful wraps, capes or capelets to complete your wedding look! Whether you are looking for a light weight cover or a warm faux fur cape, you will find it here! Use our "buy in bulk" feature to affordably purchase multiple wraps for your bridal party! Model is wearing our new beaded embroidery bridal capelet CP1824.